By journeying through the rolling hills and rural beauty of the Cotswolds, you will reach one of the most acclaimed Cotswold luxury hotels. Lords of the Manor is the perfect destination for guests who wish to experience a truly enchanting getaway. 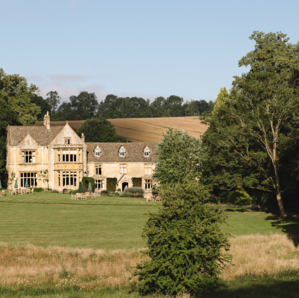 Our privately-owned hotel can be found in the quaint Cotswold village of Upper Slaughter near Bourton-on-the-Water and Stow-on-the-Wold. Boasting idyllic scenery at every turn, our hotel sits at the heart of the village and showcases all that is loved most in the area. It’s not difficult to see why we were recently named as the Good Hotel Guide’s best Hotel with Gardens; set in 8 acres of lawns and grandiose gardens, our Cotswolds hotel dates back to 1649 and the honey coloured stone of the manor instantly evokes nostalgia for decadent pastimes – without compromising on modern comforts. 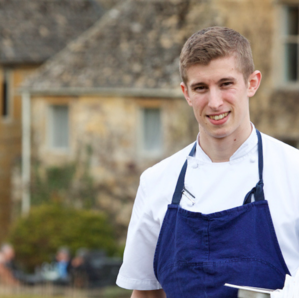 Boasting a 4 Red Star AA Inspector’s Choice accolade as well as Good Hotel Guide Best UK Country House Hotel, we invite you to experience gourmet delights at the best luxury hotel in the Cotswolds. We have been awarded 3 AA Rosettes and listed in The Sunday Times Top 100 UK Restaurants Guide and have been the recipient of such praises as “looks the business, outside and in…” from The Good Food Guide 2018. Whether you opt to take breakfast, lunch, dinner or afternoon tea with us you will be drawn into our unique atmosphere and sensational service that is part and parcel of critically acclaimed dining. To receive the best guaranteed rate, book direct with us today. Immerse yourself in the beauty of the Cotswolds this Spring. Starting from £250 per room per night. Experience our brand new restaurants The Atrium at Lords of the Manor and The Dining Room. Two nights, two styles of dining. We've been named The Good Hotel Guide Editor’s Choice for Dog-Friendly Hotel 2019 - bring your pet for free from £175.00 per room per night. Perfectly situated in prime Cotswold country, you need only stay at our hotel in the Cotswolds to explore all that the region has to offer. 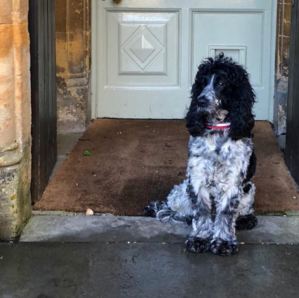 Lead in hand and faithful companion in tow, you can embark on a gentle walk or acquaint yourself with nearby Cotswold Villages and indulge in some retail therapy. With a plethora of events and National Trust properties on your doorstep, you will soon see what makes the Cotswolds such a special place to visit, and why many visitors wish to call it their second home. Ever embracing the seasons, Lords of the Manor is a luxury retreat that will never fail to delight you. Picture yourself basking in the warmth of our crackling log fires in winter or the gentle caress of a summer breeze as you pass the French windows during summertime… it’s safe to say that your stay with us is a getaway you won’t forget in a hurry. 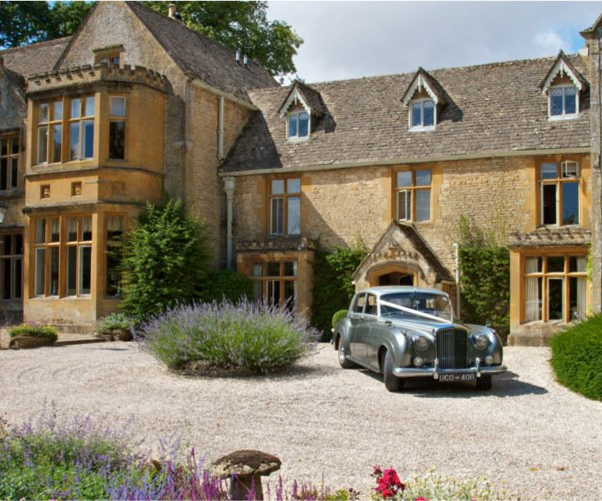 Rated an AA Top 200 Hotel in the UK, Lords of the Manor is the only choice if you are looking for a luxury hotel in the Cotswolds.